Wanna race? 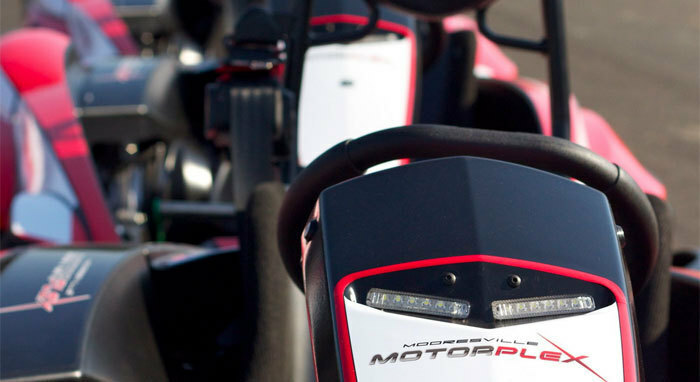 An easy drive from Charlotte, N.C., GoPro Motorplex is an outdoor, 0.7-mile, 11-turn karting facility open to the public 7 days a week, year-round featuring Adult Karts (Ages 16+) available for rent that reach speeds up to 55 mph! GoPro Motorplex can also accommodate group events and corporate team building outings! No experience is necessary, just the willingness to have a blast!